What’s the best way to calculate your budget, for example? That’s right, to use Microsoft Excel. This program creates formulas and does all the calculations for you. The range of activities where the program can be used is quite large and you don’t have to be a pro to use its main features. Although some knowledge is required, it’s still not something that an average office employee can’t learn. 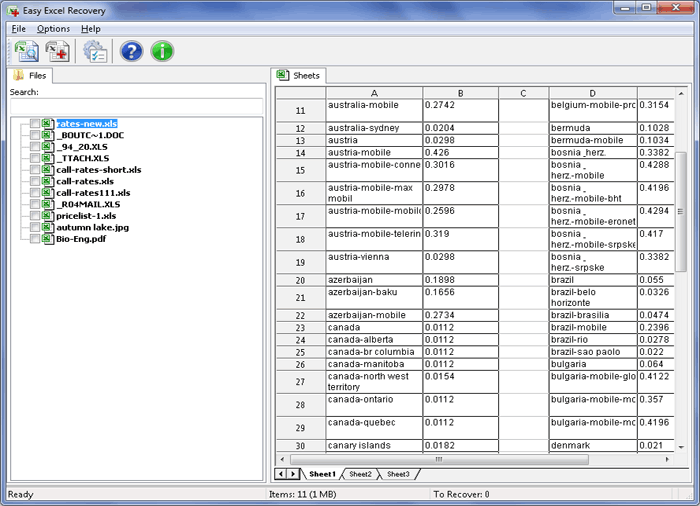 The spreadsheets can store a lot of valuable information and what a shame when it gets lost! You can delete one file accidentally or it can get corrupted, it’s no difference, you’ll still need to find a way to restore that information somehow. It’s clear that if your Excel spreadsheet gets damaged, you are in need of excel repair. The quickest way to get things done here is to use data recovery software. Which one and where to get it we’ll explain next. When choosing anything to buy you must be a picky person and you must only choose the best things for the price you can afford to pay. It’s true, however, that not always the most expensive decisions are the best because sometimes you can get all that you need for quite a reasonable price. 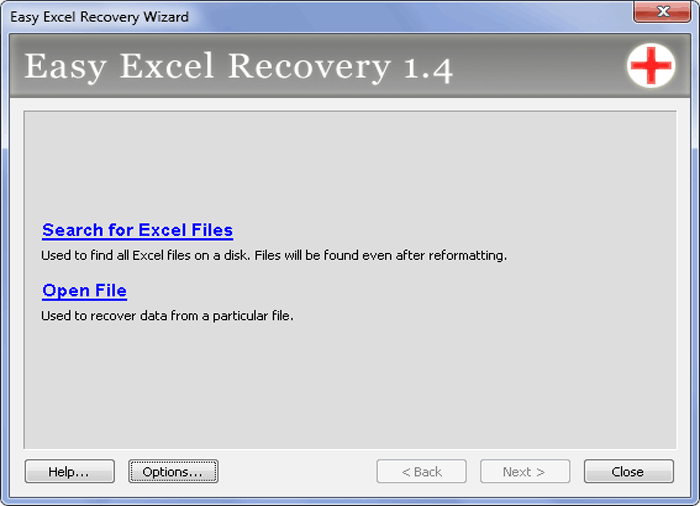 This is exactly the case with Easy Excel Recovery, a special data restoration software that you can use if you need Excel repair. This program works with spreadsheets and uses special algorithms that already know the structure of the file and therefore can restore it by its metadata which is preserved even in severely broken files. Since the program works with deleted files too, you can choose to search for files on a storage medium or upload a spreadsheet directly and try to recover its contents. Why is it one of the best programs? It’s easy to use, affordable and very effective. You can see it for yourself How? The easiest way is to download the program from our website and try it out. It will show the files and their structure in the preview and you’ll know what can be recovered and what cannot instantly and without paying a cent. One more thing to add is that you should be careful and not overwrite the files. Even if some are corrupted and the program can recover them, the overwritten information cannot be recovered at all. It’s impossible to say if the file is overwritten or not, unless you install the trial version and attempt to perform Excel repair yourself. You don’t need to go anywhere to obtain your free trial copy, it’s on our website, waiting patiently for you to download it.